Below is a list of a few of the local support groups. Meeting times and places and more detailed information on each support group can be found by clicking on their links. A death in the family is, for most people, among the most serious events in their family history. The difficult changes -- emotional, spiritual, social and practical -- are not adjusted to "overnight." For most families, the funeral marks the end of a life and the beginning of a new life, adapting to the changes that loss and grief occasion. Lynch & Sons recognizes the ongoing challenges of a death in the family and has always provided follow-up services to the bereaved among us. We serve as a referral agency to a variety of bereavement programs, from Widow-to-Widow groups, Bereaved Parents groups, Survivors of Suicide, Parents of Murdered Children, Compassionate Friends and others. In concert with church, civic and health care groups, Lynch & Sons also provides regular programming for the newly bereaved as well as outreach programs for local schools, churches and civic organizations that want to educate and inform their members on the dynamics of grief, death and bereavement. Additionally, Lynch & Sons maintains a complete lending library of books, tapes, and videos for those interested in these topics. There are a number of grief support groups in the local area to offer support and courage. We have listed a few of the local support groups to the side of your screen and below. Meeting times and places and more detailed information on each support group can be found by clicking on their links. Life is a series of transitions, the beginning of a relationship or the birth of a baby, the loss of a job or the ending of a relationship and especially the death of a loved one. Whether joyous or sorrowful, these transitions can be challenging. Occasionally these challenges are best dealt with alone, but more often than not, assistance is needed to progress forward. Many times, support comes from family, friends, clergy or church community. However, there are times when additional assistance is required. Brigid is a counselor specializing in these life transitions. With 20 years of experience in death and dying, Brigid has dedicated her life to helping those who are grieving. Her experience includes pre and post death assistance to families and loved ones, along with anticipatory loss and complicated grief. Brigid has spoken to many school and community groups regarding bereavement and loss. She has consulted with school personnel and coaching staff regarding suicide and traumatic loss. Brigid received a Master’s Degree in Counseling from Oakland University and is a National Certified Counselor. She is a member of the American Counseling Association and the Michigan Counseling Association. Brigid has an office in Farmington Hills where she maintains a part-time practice. She may be reached through our office at (248) 624-2251 or directly at (248) 330-2474. 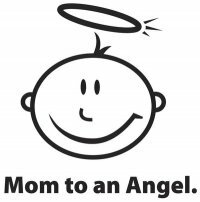 PLEASE NOTE: Brigid's "one to one" counseling sessions are referred by us but the financial arrangements are between Brigid and her client. The group will meet the 1st and 3rd Tuesday of the month from 11:30am - 1pm in the Bingham Office Park, 30300 Telegraph Road, (East side of Telegraph Road, south of 13 Mile Road), Suite 125, Beverly Hills. There is no charge and registration is not required, This is an open group and all are welcome. For questions or information, please call Brigid at (248)330-2474. Third Thursday of every month, 7 to 9 p.m.
Grief counseling for families who have suffered a pregnancy or newborn loss. Please call (248) 937-4847 for more information. 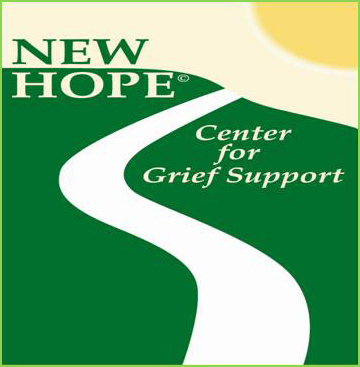 New Hope Center for Grief Support is dedicated to providing grief support services to adults and children who are grieving after the death of a loved one. Common Ground Survivors of Suicide Open Group This open support group offers comfort, strength and hope to anyone who has lost a loved one to suicide. The group meets the 1st and 3rd Monday of each month, from 7-9 PM, at Common Ground's Administration located at 1410 S. Telegraph Bloomfield Hills, MI 48341 The Survivors of Suicide Closed Support Group runs 3x a year for 6-weeks. Call or email for more information. Home and Hospice Advantage offers a walk in grief support group to anyone who has lost a loved one. The group is held on Thursdays from 1 PM to 3 PM at the Flint Township Senior Center at 2071 South Graham Rd., Flint, MI 48532. The group is facilitated by Garry Yeager. Questions regarding the group can be directed to the Bereavement Coordinator, Lynn Warth at (810) 733-9974 or at lwarth@hospiceadvantage.com. Facilitated by Brigid G. Lynch, MA, LPC, Grief Counselor. The group will meet the 1st and 3rd Tuesday of the month from 11:30am-1pm in the Bingham Office Park, 30300 Telegraph Road (East side of Telegraph, South of 13 Mile Road), Suite 125, Beverly Hills. There is no charge and registration is not required. This is an open group and all are welcome. 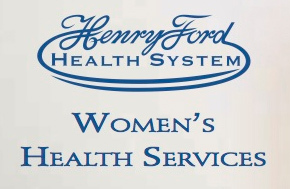 For questions or information, please call Brigid at (248) 330-2474. Losing a loved one to suicide is a painful and difficult experience that can lead to despair, isolation and hopelessness. Please know you are not alone. Join us for a Support Group for Survivors of Suicide Loss on the 2nd and 4th Tuesday of the month from 6:30-8pm at the Farmington Hills City Hall, 31555 11 Mile Road, Farmington Hills 48336. The group is sponsored by Lynch & Sons Funeral Directors and is facilitated by Brigid G. Lynch, MA, LPC, Grief Counselor. There is no charge and registration is not required. This is an open group and all are welcome. For questions or information, please call Brigid at 248-330-2474. Milford Social Activities: A variety of social activities and events for seniors are held throughout each month with schedules published in our monthly newsletters. Are you hurting and in need of the loving support of those who understand? Our experienced leaders offer free weekly meetings and free childcare in a confidential, caring atmosphere. The Grief Share and Divorce Care Support Groups meet on Monday evenings. Meetings will be held in the two end rooms in the East Wing of the church at 7:00pm. Or call the Highland United Methodist Church at 248-887-1311 for more information. With offices in Ann Arbor, Plymouth, Woodhaven and Monroe, Arbor Hospice offers an extensive range of grief support programs. Phone 1.888.992.2273 for further information. Dedicated to providing grief support services to adults and children who are grieving after the death of a loved one. New Hope for Kids & Teens - 3 to 18 years. Circle of Hope-Young widows and widowers. Starting Again - widows & widowers who are facing an empty nest. Wayfarers - Semi-retired or retired widows and widowers. Parents of Hope - Loss of a Child. The kite network is a peer support organization. Our counselors are volunteers from the community who have traveled on their own personal grief journeys, and who have been trained to provide a supportive presence to our clients. This open support group offers comfort, strength and hope to anyone who has lost a loved one to suicide. The group meets the 1st and 3rd Monday of each month, from 7-9 PM, at Royal Oak Beaumont's Administration Building. 1st & 3rd Thursday of the month, 1-2:30pm. A group for children and youth between 5 and 18 years of age who have experienced the death of a loved one.